Feb 11, 2014 News! Vol. 4, No. 5 has been indexed by Crossref. Jan 10, 2014 News! Vol.4, No.4 has been indexed by Crossref. Jan 08, 2014 News! Vol.4, No.3 has been indexed by Crossref. Jan 06, 2014 News! 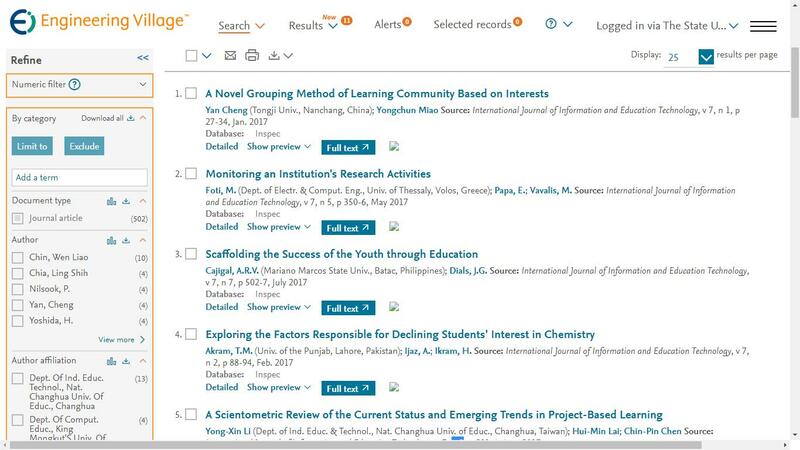 Vol.4, No.2 has been indexed by Crossref. Oct 22, 2013 News! Vol.4, No.1 has been indexed by Crossref. Aug 26, 2013 News! Vol.3, No.6 has been indexed by Crossref. Aug 19, 2013 News! Vol.1, No.1 has been indexed by Crossref. Aug 15, 2013 News! Vol.1, No.2 has been indexed by Crossref.